Crushed rock, dried thyme, and a violet edge. Sweet cedar and savory characters emerge. Combines lively freshness and deep succulence — forward ripe black fruits with building density and obvious weight. Rising red mineral notes with spicy cherry fruits. Natural palate breadth and texture as the wine opens. Focused dusty cocoa nib finish across a broad swath of layered tannins. Offers a strong, precise terroir signature and long aging potential of 20+ years. 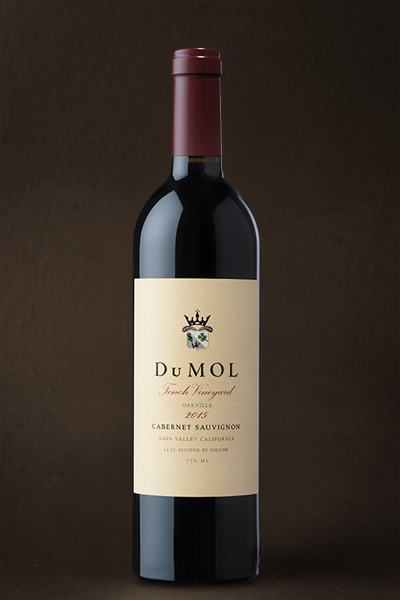 From one of Napa’s most famous vineyards comes this micro-offering of east Oakville Cabernet. Neighboring many legendary vineyards, Tench stands proudly on its own merits, on its own 25-year track record for outstanding quality, on the pedigree of its soil and vine material. It needn’t trade off an adjacent vineyard’s reputation — it’s a leader, not a follower. Red volcanic clays, the rockiest soils imaginable, give the wine its clear site signature: precise, definitive and bold. With time in the glass, deep characterful complexity emerges — a liquid translation of the site’s prime location, historic pedigree and mature vines. Like the greatest wines, it holds something in reserve. It has a dark brooding side and demands a degree of patience to gradually allow all the soaring complexity to unfold. But when it hits its peak, the rewards are clear and the wine offers a long window of drinking pleasure. There will never be much of this bottling, but you will not forget its deep personality or effortless quality. Remarkable.